Sony Pictures‘ The Dark Tower will hit theaters next week and we’ve got a brand-new video for the film. Yesterday, we got a The Dark Tower teaser video showing us some of the many Stephen King references that play a part in the film’s multiversal storyline. Today’s The Dark Tower teaser video “Connected KINGdom” gives us a closer and longer look at a number of Stephen King references. You can check it out in the player below. There are other worlds than these. 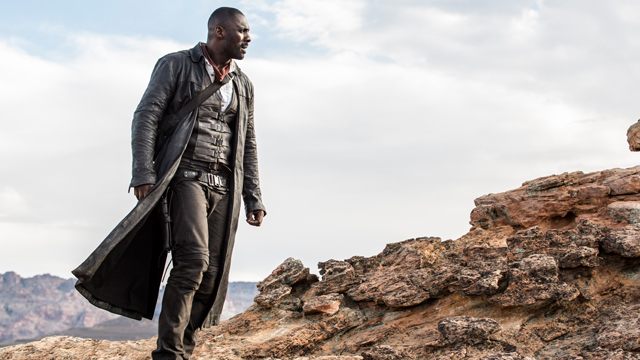 The Dark Tower, the ambitious and expansive story from one of the world’s most celebrated authors, makes its launch to the big screen. The last Gunslinger, Roland Deschain (Elba), has been locked in an eternal battle with Walter O’Dim, also known as the Man in Black (McConaughey), determined to prevent him from toppling the Dark Tower, which holds the universe together. With the fate of the worlds at stake, good and evil will collide in the ultimate battle as only Roland can defend the Tower from the Man in Black. Elba and McConaughey are joined in The Dark Tower by Tom Taylor, Claudia Kim, Fran Kranz, Abbey Lee, and Jackie Earle Haley. The film is directed by Nikolaj Arcel (A Royal Affair) from a script by Akiva Goldsman & Jeff Pinkner and Anders Thomas Jensen & Nikolaj Arcel. The producers are Akiva Goldsman, Ron Howard, and Erica Huggins. G. Mac Brown is executive producing. The Dark Tower book series tells the story of Roland Deschain, Mid-World’s last gunslinger, who is traveling southeast across Mid-World’s post-apocalyptic landscape, searching for the powerful but elusive magical edifice known as The Dark Tower. Located in the fey region of End-World, amid a sea of singing red roses, the Dark Tower is the nexus point of the time-space continuum. It is the heart of all worlds, but it is also under threat. Someone, or something, is using the evil technology of the Great Old Ones to destroy it. The Dark Tower hits the big screen August 4, 2017. What did you think of The Dark Tower teaser video? Let us know at @SuperHeroHype.